If you can believe it Tyrolia was actually founded back in 1847 in Austria as a metalware, buckle and machine factory. Their first ski bindings went to market in 1949, so the company has a good heritage and a lot of experience, there is a reason that one out of every ski binding sold around the world is from Tyrolia. These days Tyrolia makes bindings for all types of skiers from competition, racing, all-mountain, Junior skiers and even rental skis. 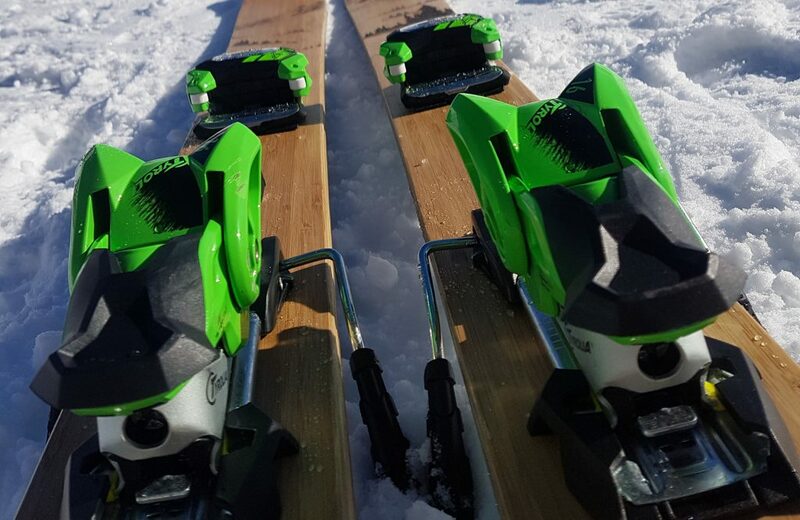 Many ski companies have partnered with Tyrolia, prefering to have their bindings mounted on their skis; from Head, Fischer and Elan to the likes of Kästle, 4FRNT, Kessler, Liberty, Amplid, Sporten, Black Crows and Blossom. So with this type of CV I had to put a pair of their latest bindings to the test and I had the perfect pair of skis to test Tyrolia on, I too would trust their bindings on a pair of skis that I made myself, with a lot of help from SPURart. 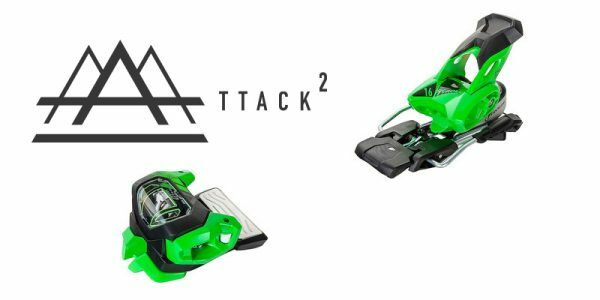 I selected from the AAA Series of bindings, from the AAATTACK² range. The AAAttack² 16 GW would be the model that I would mount on my skis. Built to stand up to the stresses and power demands of freeride and freestyle skiing, these bindings have been designed to be tough and I have to say they look pretty tough too. 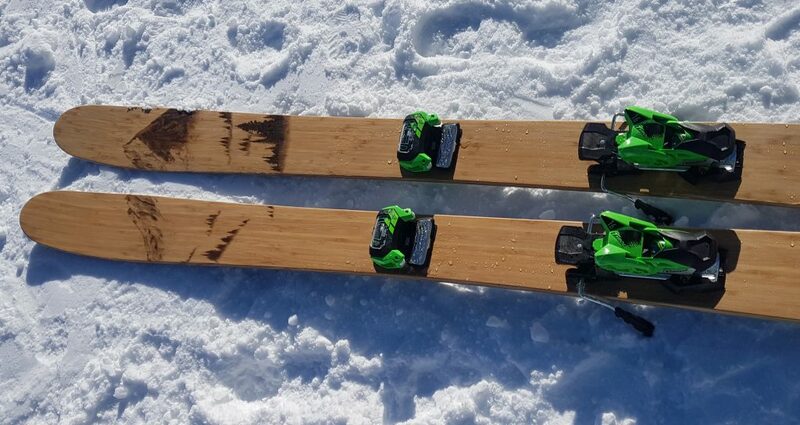 In fact they kind of make me smile each time I look at them, in the vibrant green colour they look like a robust pair of Transformer Autobots gripping to my skis, in readiness for action. The shape is pretty compact too, with the toe piece being wide and short in depth unlike many bindings out there. This particular model has a ‘Race Pro’ heel with a reduced stand height of only 17 mm, whilst the new FR PRO² Toe construct is compatible with Alpine and ‘GripWalk’ Ski boots too; the 77 mm metal ‘Anti Friction Device’ can be adjusted to accommodate either boot. These adjustable toe pieces apparently provide better performance on skis and improved release values and re-centering. Once mounted they looked great, but how did they ski? Well I have to say my boots clicked in all the way beautifully, with a click and not a weird halfway point where one is not sure if the boot is in properly. With the FR PRO² Toe pieces set up to fit my Alpine boots, they certainly felt linked to my boots; and the low stand height provided a better connection with the snow; all in all I felt at one with the surface of the snow, something every skier strives for. 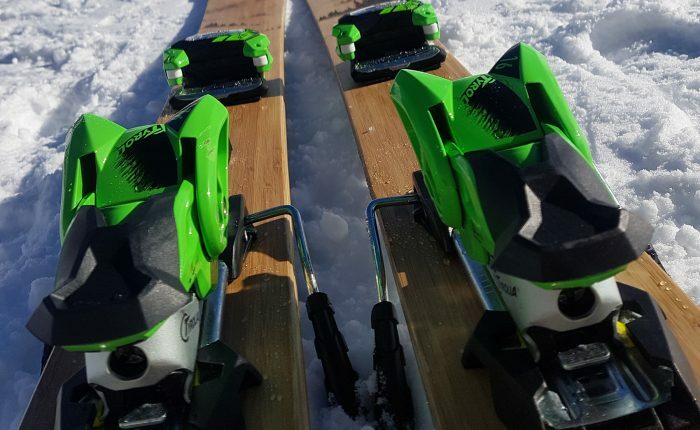 I was lucky enough to put the AAAttack² 16 GW ski bindings through their paces in all sorts of conditions from soft powder, deep chalky wind blown snow, ice to bumps, slush and more. The connection with the snow was always there, no movement from my body was lost in translation through the boots, bindings and skis to the snow. I felt confidence in my equipment, connection with the snow and ultimately forgot all about the bindings and took pleasure in creating my own line on the mountain- probably the best comment when it come ski equipment! For more information please visit Tyrolia online.